IRAEE publishes a monthly magazine, Eghtessad-e-Energy, (Energy Economics), dealing with Iran's domestic energy issues and is widely read by government officials and authorities involved in the state energy policy. IRAEE welcomes articles on energy economics and energy issues. 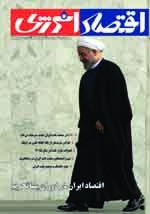 Eghtessad-e-Energy is a bilingual magazine with two separate parts in English and Farsi.